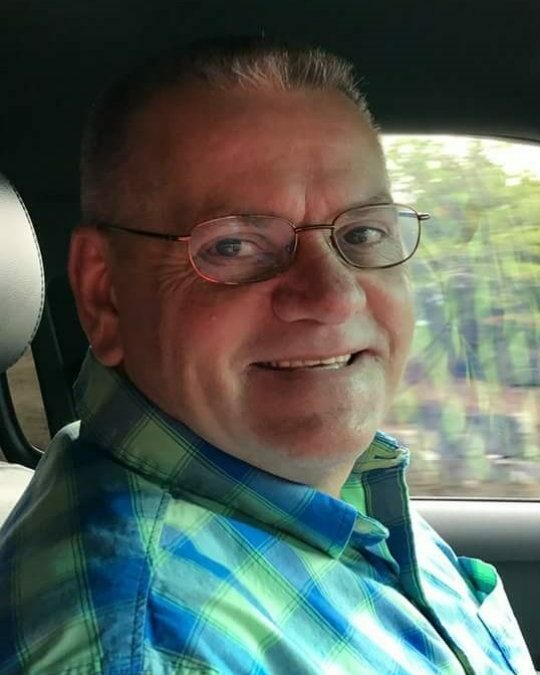 Jerry L. Blanton, age 59, of Somerset, Kentucky, passed from this life on Friday, July 13, 2018 at his home. He was born on January 14, 1959 in Union City, Tennessee to Betty Mounce Guyzik and the late Elva Arlen Blanton. He was a tooling engineer for UGN and was a member of the Old Path Baptist Church in Somerset. Jerry will be missed by all who knew and loved him. He was preceded in death by his father, Elva Arlen Blanton. He is survived by his wife; Renia Shields Blanton, his mother; Betty Guyzik of Livonia, Michigan, one son; Arlen (and Charity Ryan) Blanton of Somerset, two daughters; Sandra (and Jason) Mullins of Lincoln Park, Michigan and Karen (and Brad) Cole of Berea, one brother; Ralph (and Constance) Laderoot of Novi, Michigan, two sisters; Barbara Blanton of Detroit, Michigan and Kelly Laderoot of Livonia, Michigan, four grandchildren; Alexiah Mullins, Jason Mullins Jr., AreyAnna Mullins and Nathaniel Mullins. Visitation will be from 5:00 p.m. until 9:00 p.m. on Monday, July 16, 2018 in the Chapel of Southern Oaks Funeral Home. Funeral Service will be at 12:00 p.m. on Tuesday, July 17, 2018 in the Chapel of Southern Oaks Funeral Home with Bro. Bradley Goforth officiating. Interment will be in Southern Oaks Cemetery. Southern Oaks Funeral Home is entrusted with the arrangements for Jerry L. Blanton.